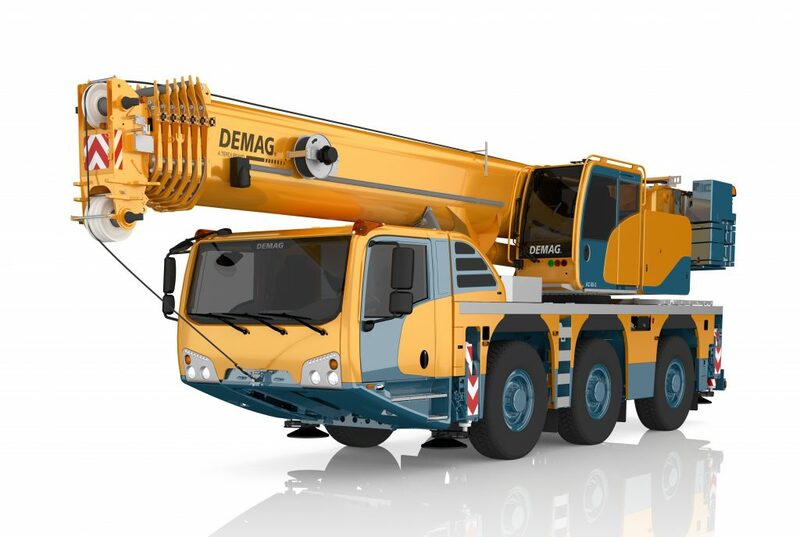 Outstanding reach: A 50m single cylinder telescoping system provides the world’s longest telescopic boom on a fully roadable, 3-axle all terrain crane. One man operation: Fully equipped and roadable within 12 t axle load – everything aboard this machine can be handled by just one man. 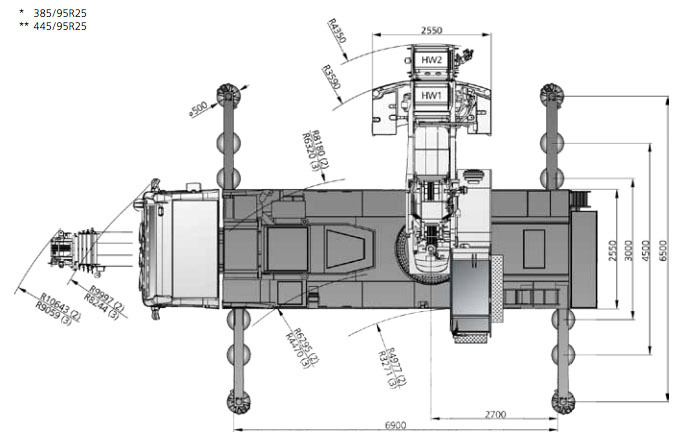 Clean axle loads: The crane stays under the 12 t axle load limit, still being able to carry up to 500 kg of payload. 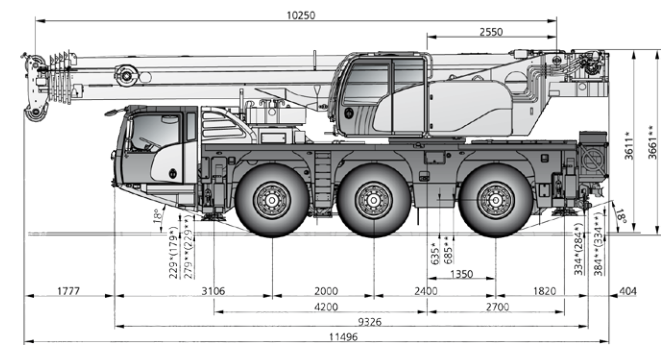 Compactness: Only 2,55 m width (truck standard) – also with optional 445/95R25 (16.00) tyres.